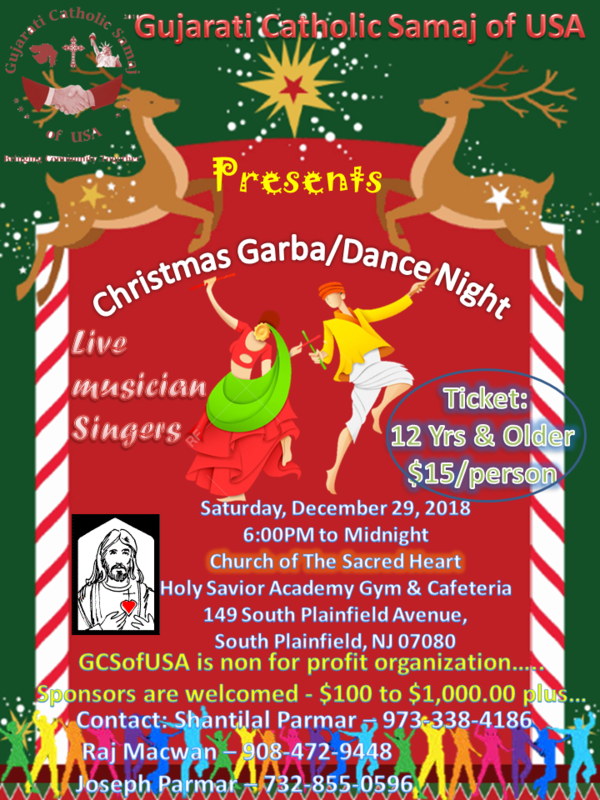 GCSofUSA invites for Christmas Carols and Garba/Dance night 2018. 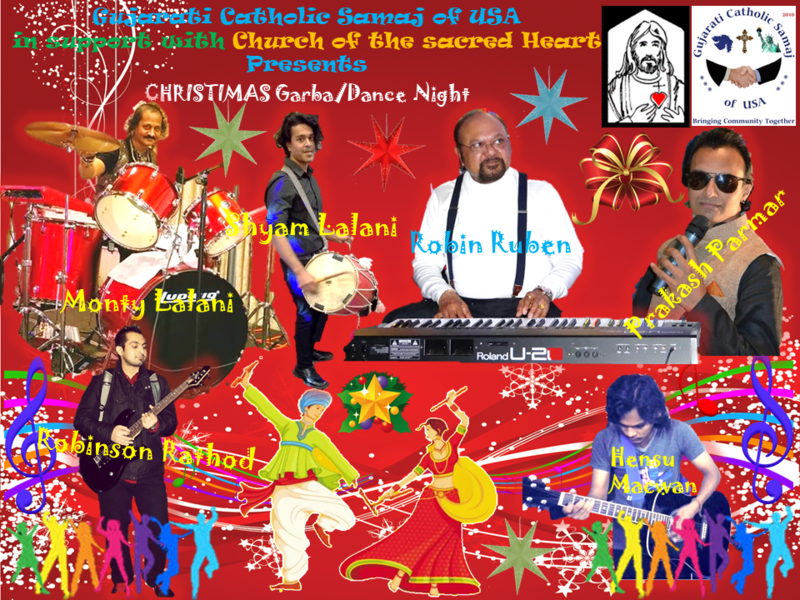 Gujarati Catholic Samaj of USA invite for the Annual Christmas Celebration. 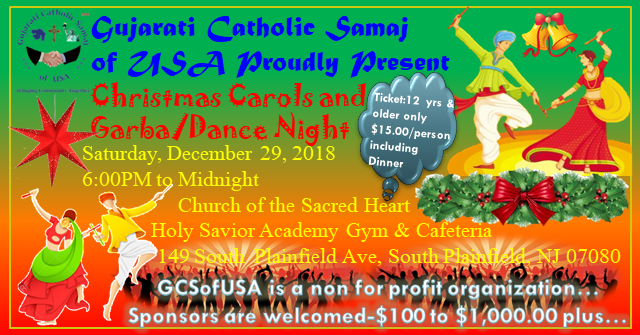 GCSofUSA presents CHRISTMAS CAROLS & CHRISTMAS GARBA/DANCE NIGHT. If you have missed those garaba nights during Christmas week, then come and join us for a ramazat of raas/garaba, sanedo with live professional musicians and singers. Come and get that feeling of home away from home as we celebrate our Lord’s Birthday in similar way as we did back in our beloved homeland India. GCSofUSA is a non for profit organization. We welcome sponsors – $100 to $1,000 plus….